This is because harmful colors which are packed with chemicals can take a tool on the hair and skin of the people. though awareness among people has grown to a great extent, yet there are tips which can prove to be beneficial. First and foremost, while making a purchase of the Holi colors, be categorical to buy natural colors. Do not buy colors which are loaded with chemicals. the market has a lot of sprays, capsules, and likewise products which leave a hard color on the skin. This may even promote the development of rashes in the body. Apply oil on the hair before going out to play Holi. Any oil, Coconut or Olive, can be applied on the hair so that the harsh colors do not damage the texture of the hair. It is best to apply minimal or no make-up when the ladies get geared up to play the festival of colors. If required, waterproof eyeliner or mascara can be applied so that it remains intact. 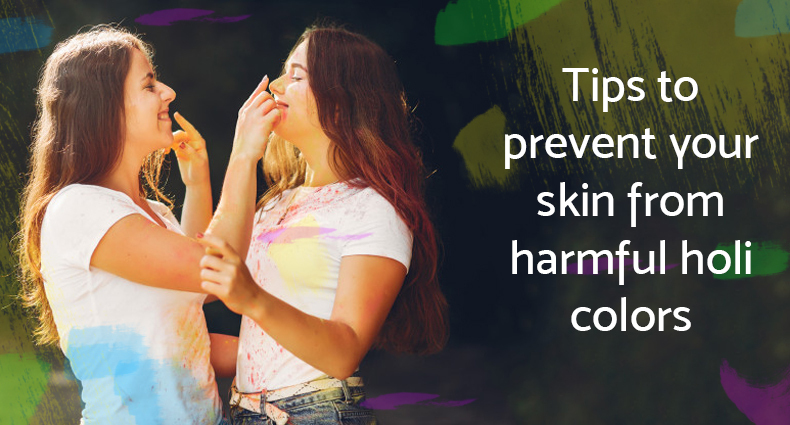 For the skin, it is best to apply moisturizer or sunscreen before going to play Holi. It is recommended to apply the moisturizer on all the exposed areas of the body. These are handy and useful tips to follow. It will keep the body and the mind happy.